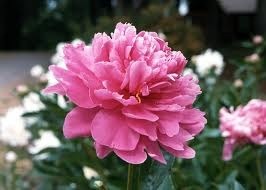 Peonies are a beautiful flower. With their colors of pink and white and purple, they make a vivid centerpiece to any table decor. Unfortunately, along with peonies come ants. Ants are drawn to the peony because of the sugary coating on the flower’s bud. Yet separating the ants from the peonies is not that difficult. You’ll enjoy your peonies’ beautiful blooms and wonderful smell more when you can relax, knowing ants won’t be spoiling the show. Fill a deep bucket with cool water to the measure of your flowers’ length. Choose the first peony you want, and cut its stem at an angle with scissors. The angle will help your flower absorb water when it is put in its vase. Turn the peony upside down and gently shake it. This will removes most of the ants. Dip the flower in the bucket of cool water and turn gently. Check it for ants, and dip again if necessary until all ants are removed, which should take 30 seconds or less. Remove the peony from the bucket of water, and put it in your vase. Repeat with each flower until you have the desired amount of peonies in your vase. Adding flower preservative or just a penny and some sugar will make your peony blooms last longer.